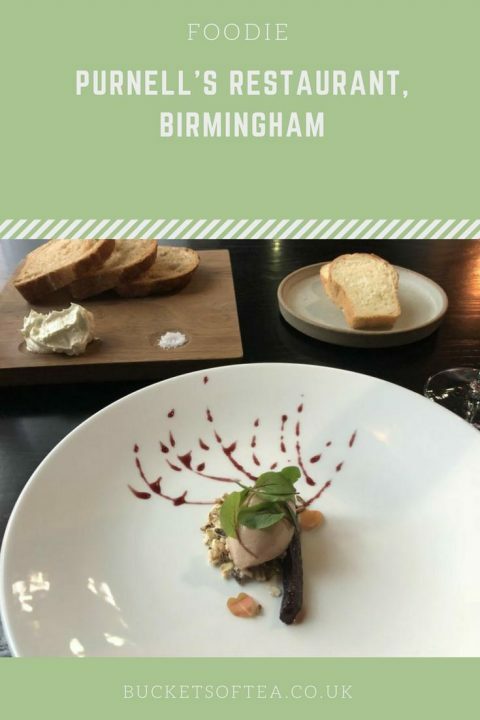 Glynn Purnell’s Michelin Starred Restaurant can be found in one of the side streets around the side of Snow Hill Station. It’s not in the one of the areas in Birmingham where there is a great shoppers foot fall but it is well placed within plenty of offices in the vacinity. When I arrived I was shown to my table and my drinks over was taken. I have booked for the 4 course set menu which at £40 was reasonably priced for a mitchelin starred restaurant. 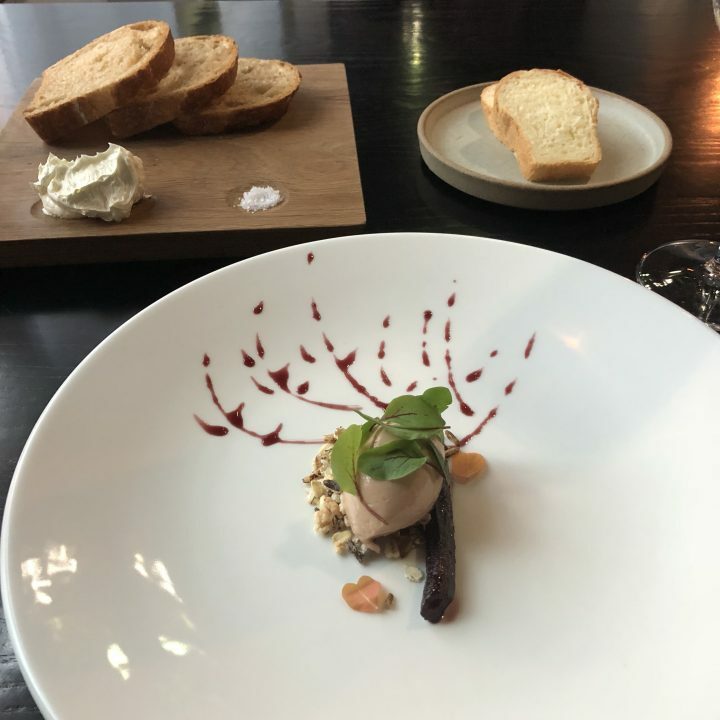 This was followed by the starter was a chicken liver parfait with red wine braised salsify, toasted grains and sorrel and was beautifully plated up to form a tree. It was amzing and was accompanied by freshly baked crusty bread and brioche. I didn’t eat the brioche as The bread and starter were sufficent but the bread was extremely tasty and fresh. 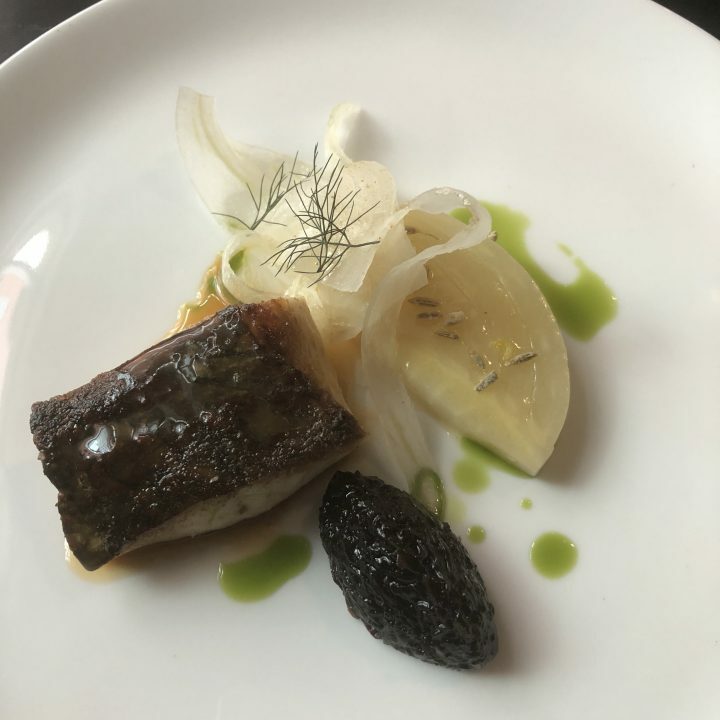 The fish course was a piece of roast stone bass served with braised fennel and fennel jam. Sometimes I find fennel to have a strong taste as I’m not a big fan of aniseed but I found this fennal to be quite mild and so was the jam. The sea bass was cooked to perfection and I could have eaten this course again. 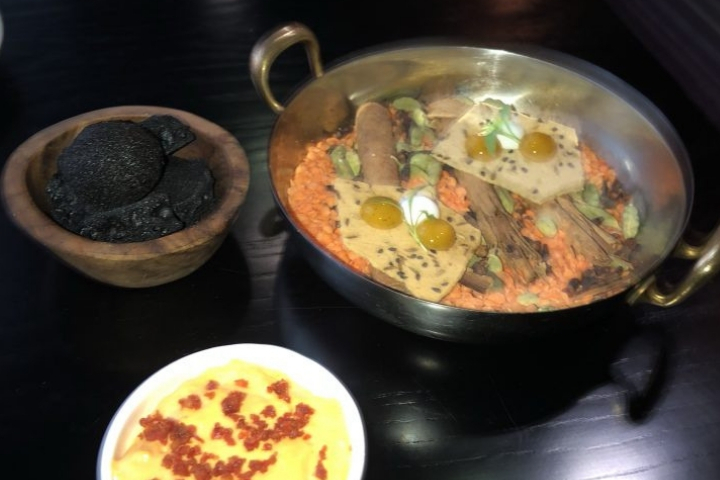 The main course was a butter poached and roast coquelet served with confit potato, turnip and a mijote of Israeli cous cous. The chicken was extremely moist and very flavoursome. 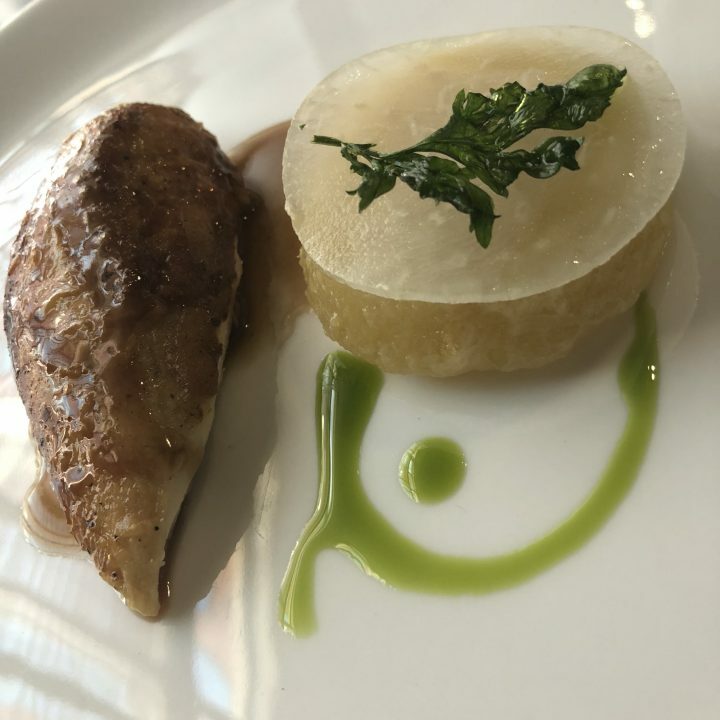 The confit potato was perfectly cooked as was the slice of turnip. I would have liked a couple more slices of the tunip as it was a perfect accompliment to the chicken. Normally I’m not a fan of cous cous and I find it quite bland but I enjoyed this. 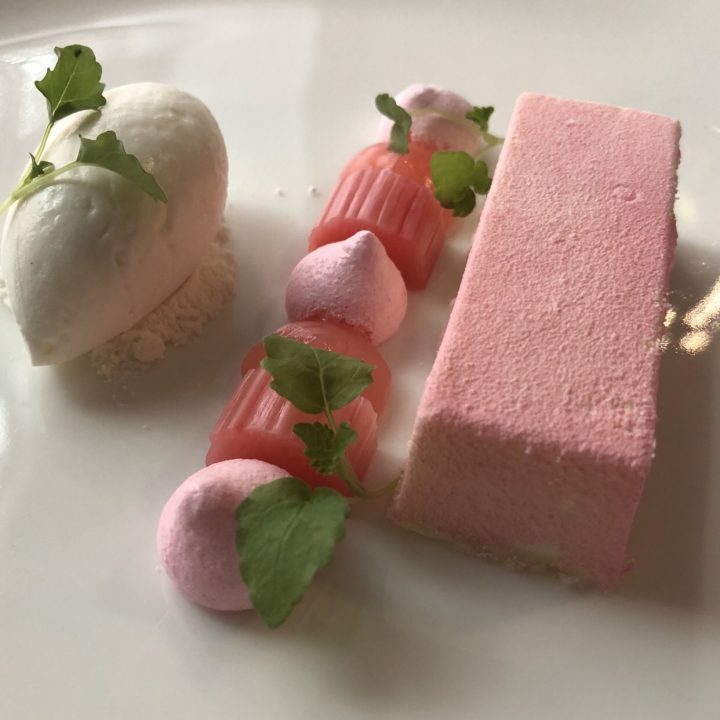 The dessert was an Opalys 33% white chocolate delice served with yorkshire rhubarb, frozen yoghurt and rhubarb meringue. The tiny meringues just melted in the mouth and the sharpness of the rhubarb complimented the white chocolate, which can sometimes be quite sweet perfectly. 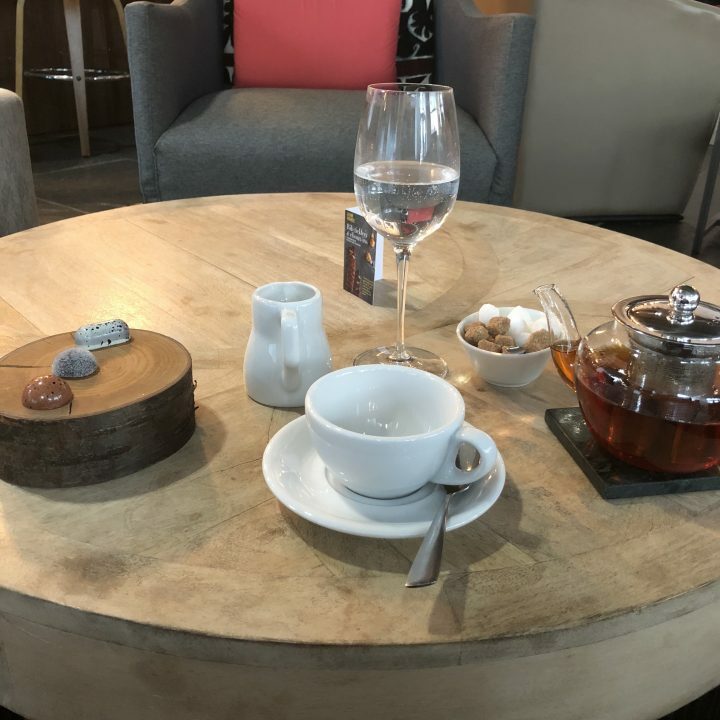 After the fantastic meal, I moved to the bar area where I enjoyed a lovely pot of tea and 3 handmade chocolates. Just perfect for rounding off the meal. The restaurant was very relaxed and tastefully decorated and the staff were extremelly knowledgable and relaxed. I asked for a cocktail to accompany my meal that wasn’t on their drinks menu and they happily made this for me with no trouble. I absolutely loved the meal and look forward to returning again in the future. I feel I must point out that the portions were on the large side and I did feel rather full for the rest of the day. 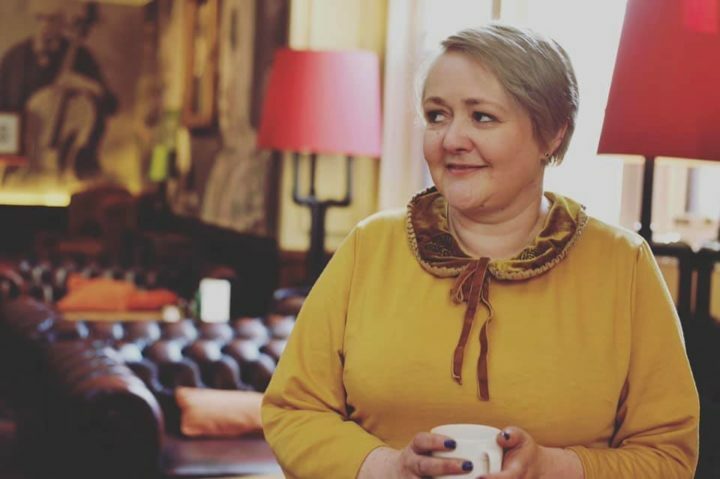 You can book a table online and find out more about Purnell’s here.